Tags: Saxon Brook , Exeter , new project , show homes , arena , gardens. This is our new project Saxon Brook. Show Arena! This project consists of four show home gardens, which includes four patios and four feature decks. With the patio's well in hand, it was time to get the framework in place for some of the decks. After some ground prep, the team are able to start planting some of the larger feature plants. With the fourth patio laid it is time to get the metal edgings in place. All the areas have now been marked out and the planting is well underway! The balustrades have now been fitted to the decking frames. 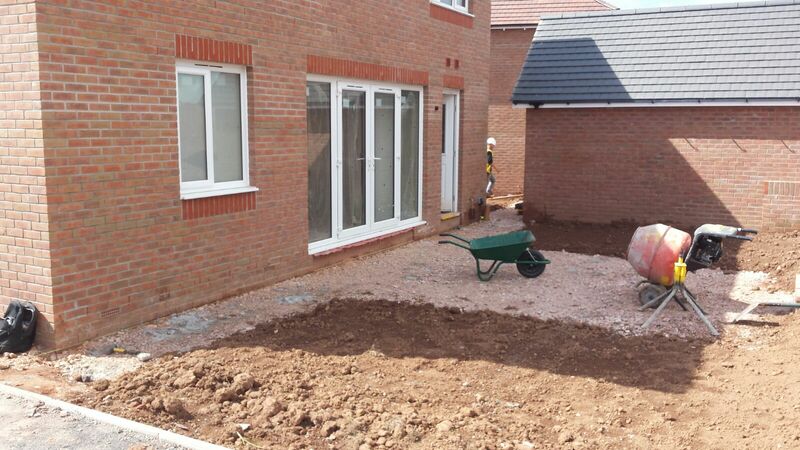 We are now beginning to lay the turfs to both the front and back gardens of the show homes. Some of the POS areas are also having the turf laid. More planting, this time for the car parking areas.